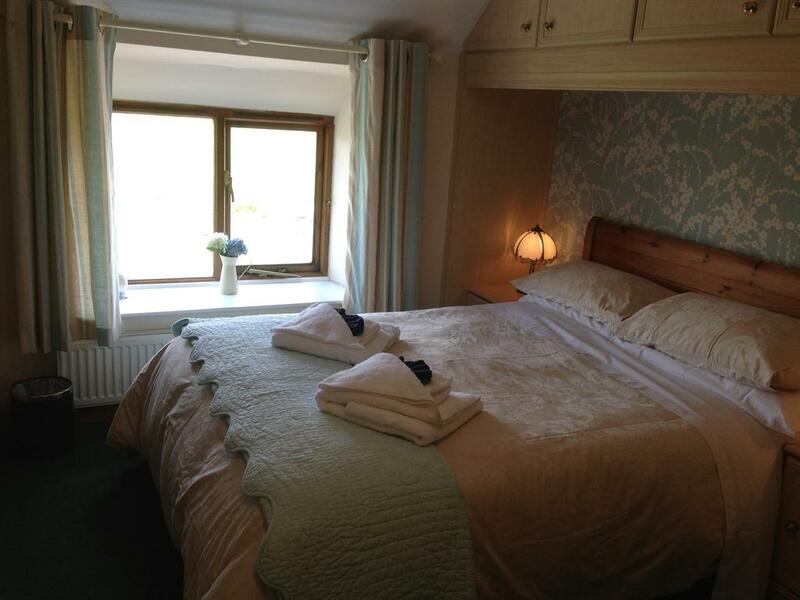 This romantic room is situated in our gorgeous Grade II listed Farmhouse with Georgian casement windows overlooking the garden. 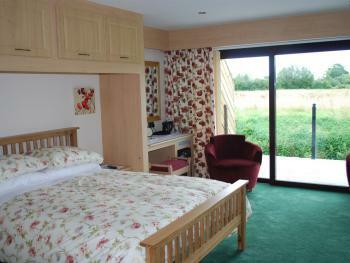 This room is the only accommodation we now offer in the Farmhouse itself and is on the first floor (up 12 steps). 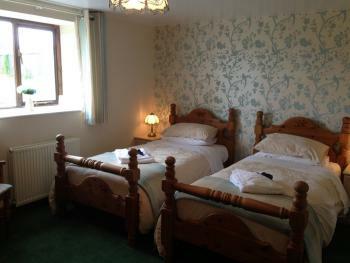 It is a lovely light and spacious room, decorated in traditional fashion with an extremely comfortable Four Poster bed. If you want to watch a bit of telly you can do so on the 32 inch flat sceen TV with integral DVD player. Convenient low level touch lighting is right on your bedside table for those who prefer a good book instead! 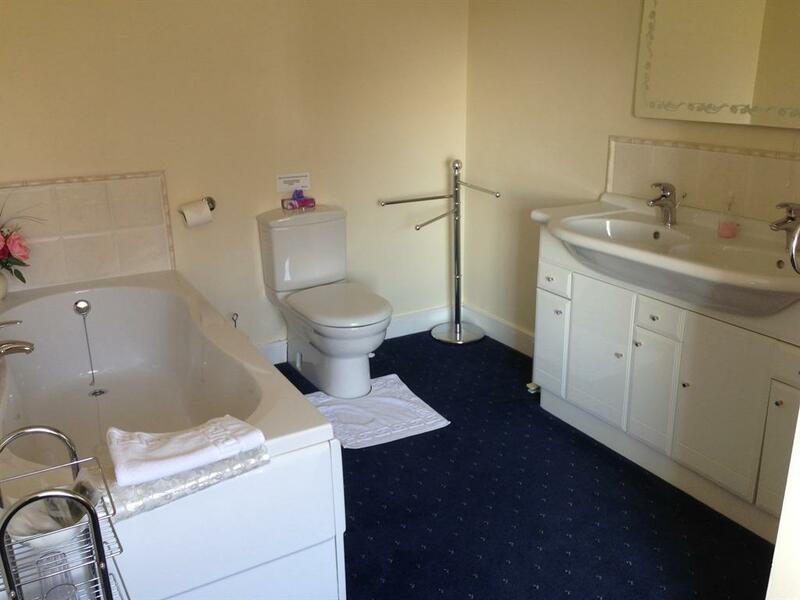 The en-suite is spacious (1 step up) and is the only en-suite we offer that has both bath and a large walk in shower. His and her's double basin is a nice little touch with decorative lighting, and WC. This room is NOT available for single occupancy. 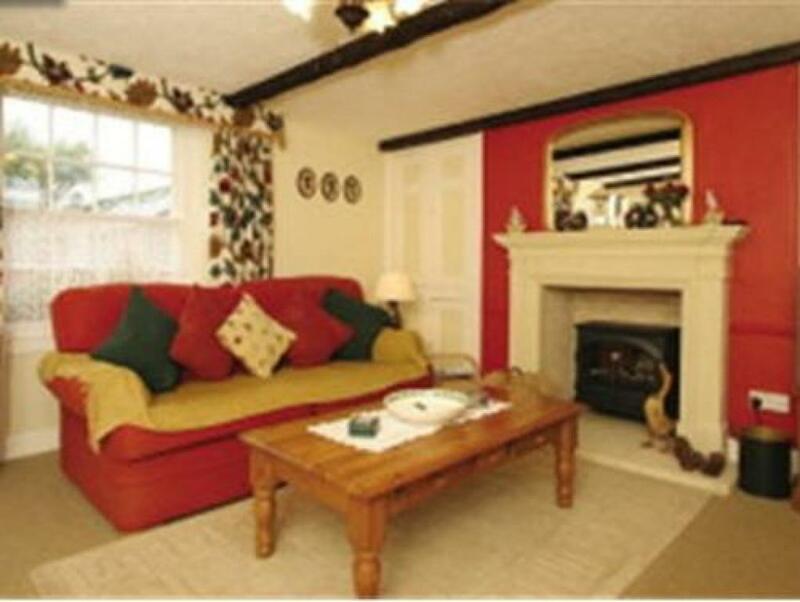 The word 'standard' doesn't really do justice to these lovely cottage styled rooms in Swallow Barn. 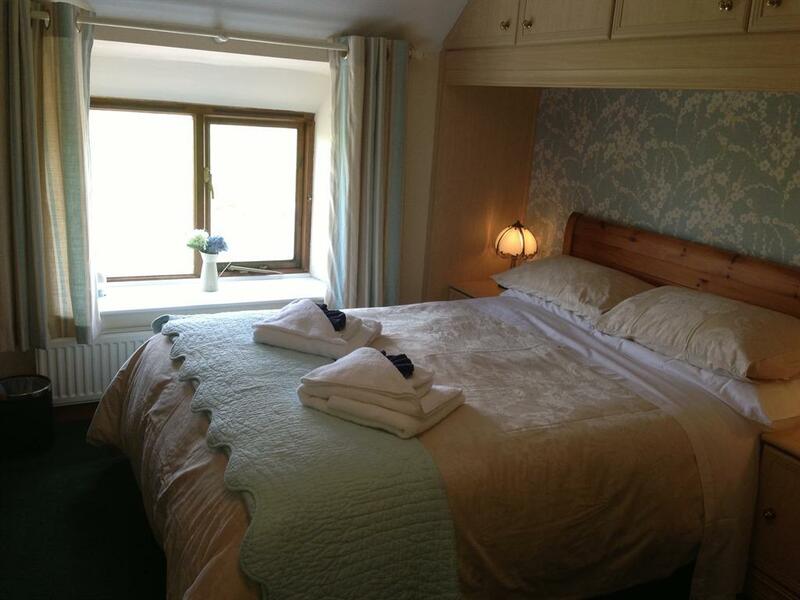 This is a double en-suite room decorated in a classic and calming duck egg blue and cream. 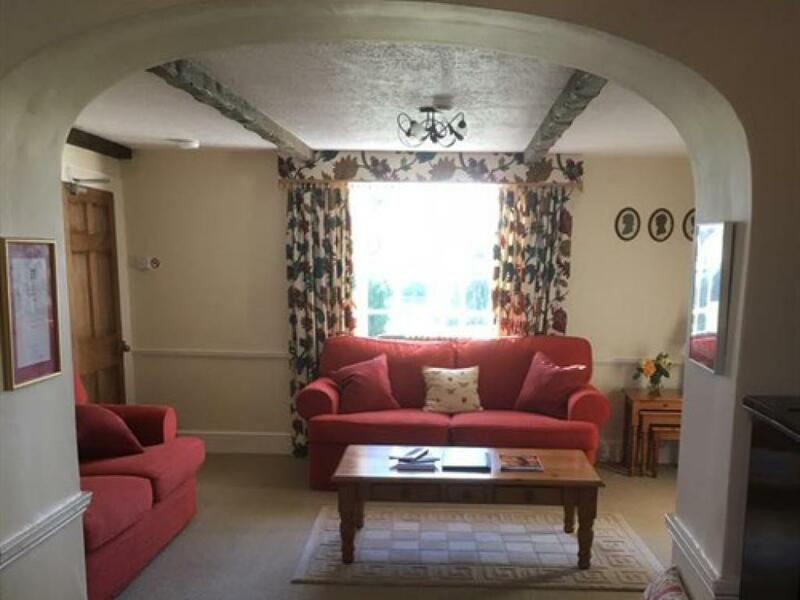 Slightly more modern than 'chintz' yet still managing to retain it's original features. 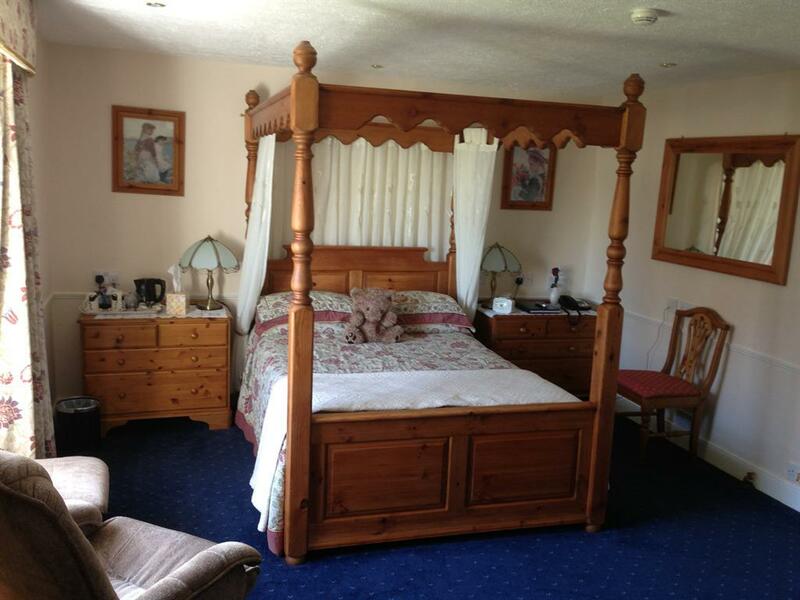 The bed is a comfortable standard double with a nice deep mattress. An all seasons duvet choice will keep you just right - not too hot, not too cold. 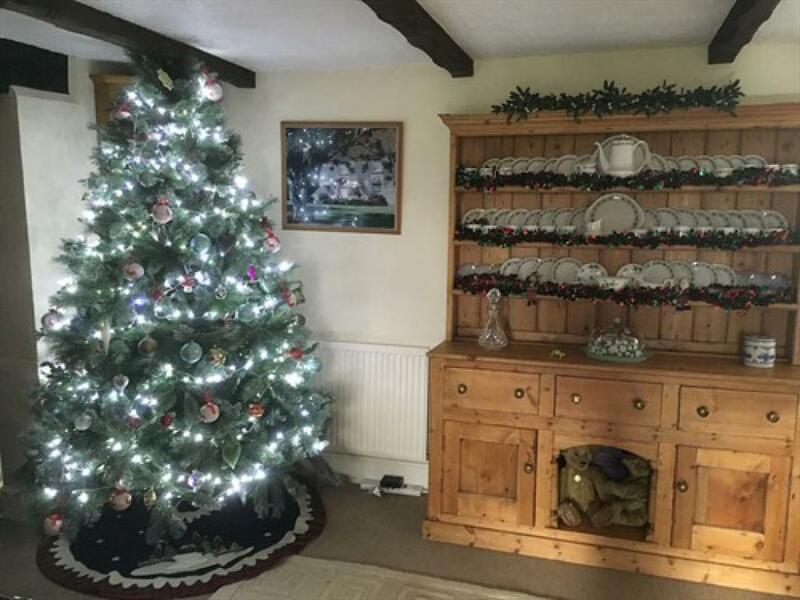 Central heating will keep you nice and warm but if you really do feel the cold there are plenty of spare blankets and throws available if you really want to snuggle up. 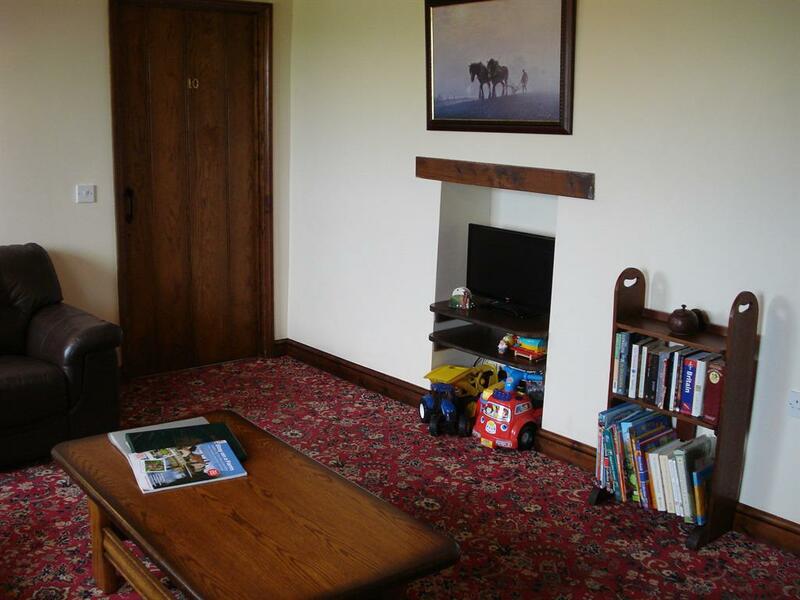 You have your own free view flat screen TV with built in DVD player. Low level touch lighting on both sides of the bed. 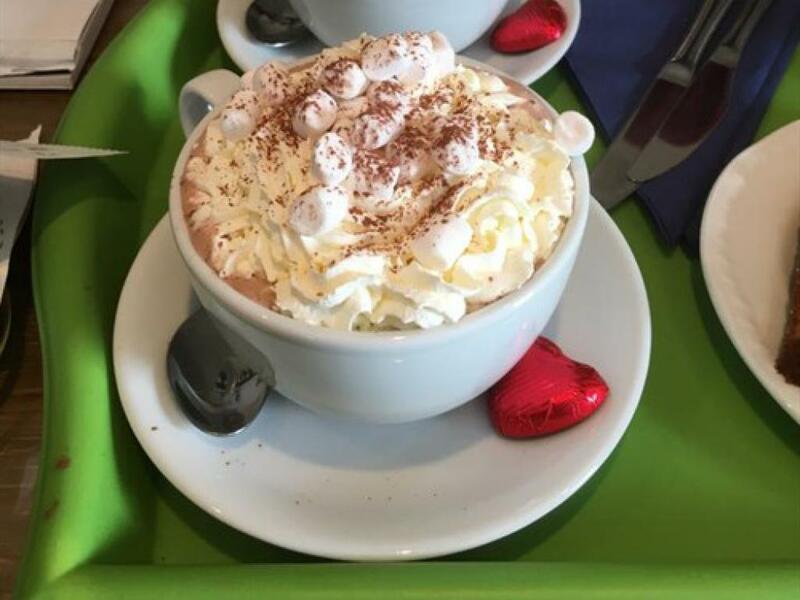 If you fancy a cuppa there is a complementary beverage tray with various teas, coffees hot chocolate and biscuits available for you. 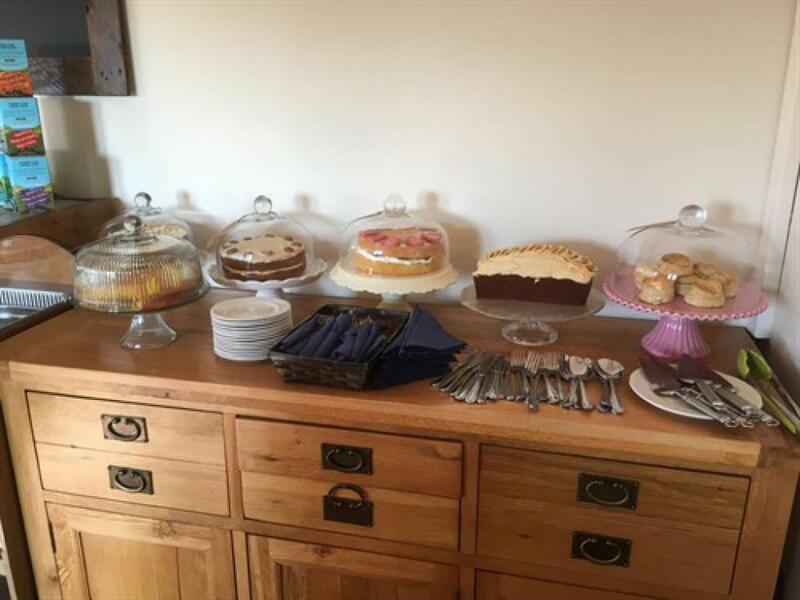 If you want something a little more decadent our very own Tea Rooms is just a few steps away where you can enjoy barista made coffees, tea and homemade cakes, lunches or afternoon teas. 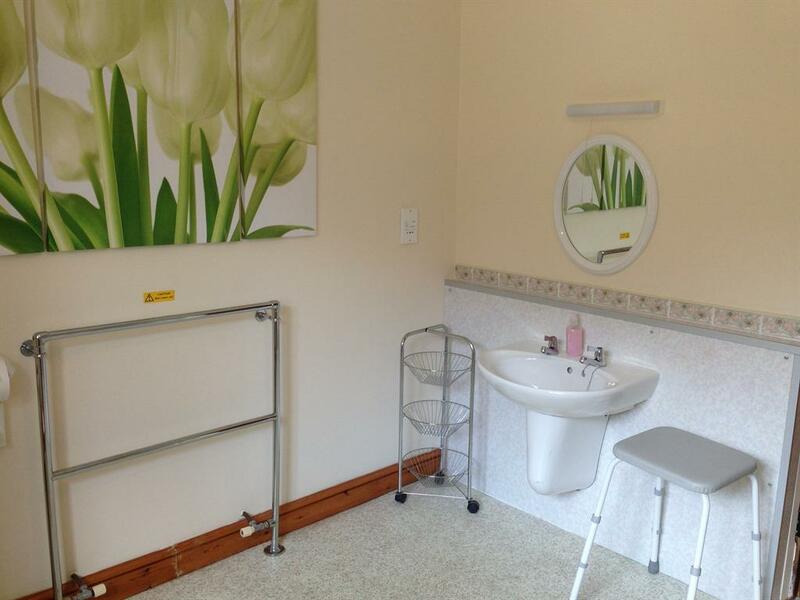 The en-suite is equipped with a walk in shower, wash basin and WC. Just to make you feel that little bit special we have complementary toiletries for you to use, should you so desire. 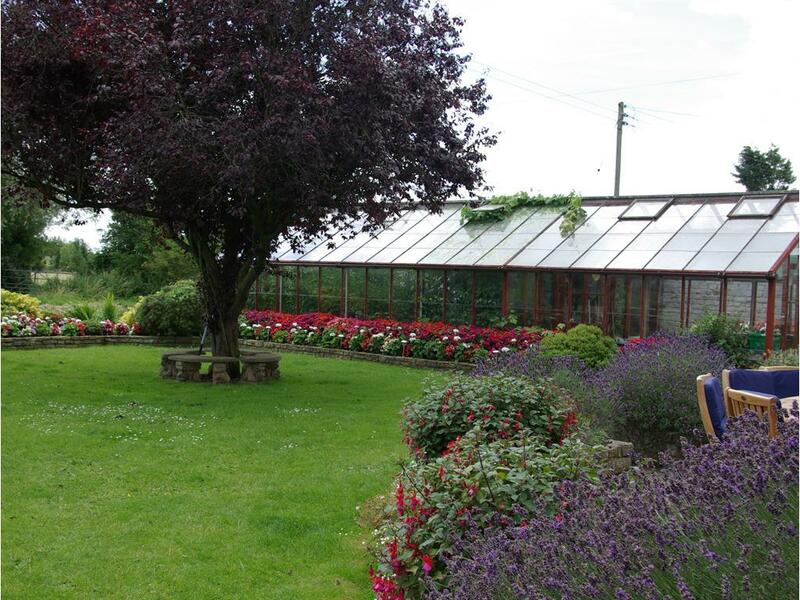 We have chosen the Eco Boutique range, providing shampoo and conditioner in the shower dispensers and individual body lotion and shower gel bottles for your convenience. Also included are shower hats, shoe shines and a mending kit should you have a last minute wardrobe malfunction! 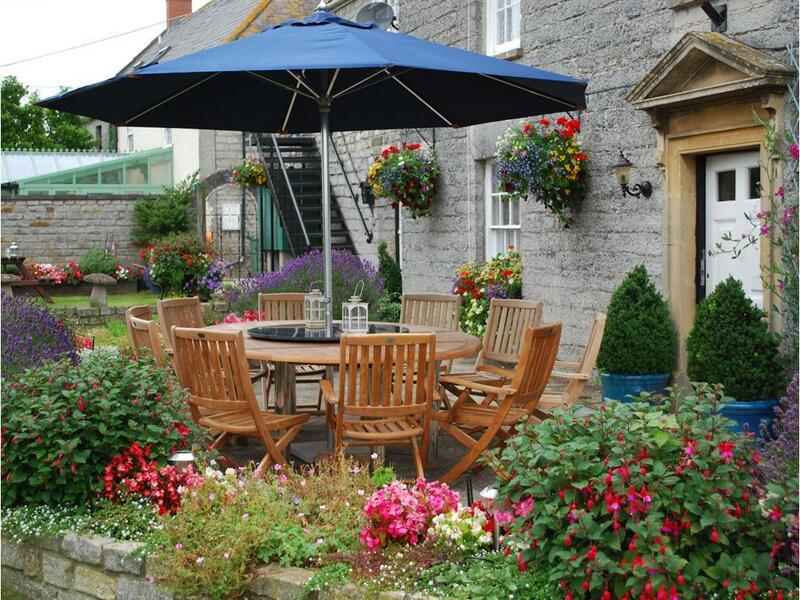 Views are beautiful and are across open countryside towards the Mendip Hills, home of Wookey Hole Caves and Cheddar Gorge. The word 'standard' doesn't really do justice to these lovely cottage styled rooms in Swallow Barn. 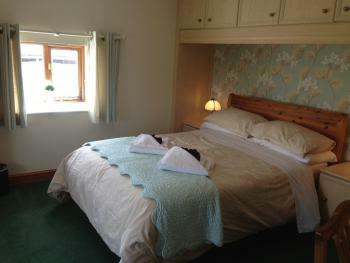 This is a ground floor twin en-suite room decorated in a classic and calming duck egg blue and cream. 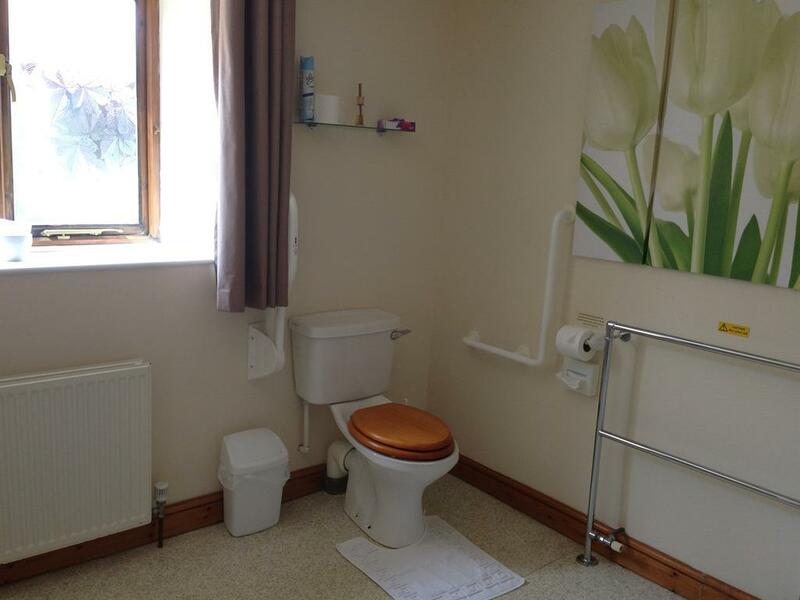 Slightly more modern than 'chintz' yet still managing to retain it's original features. 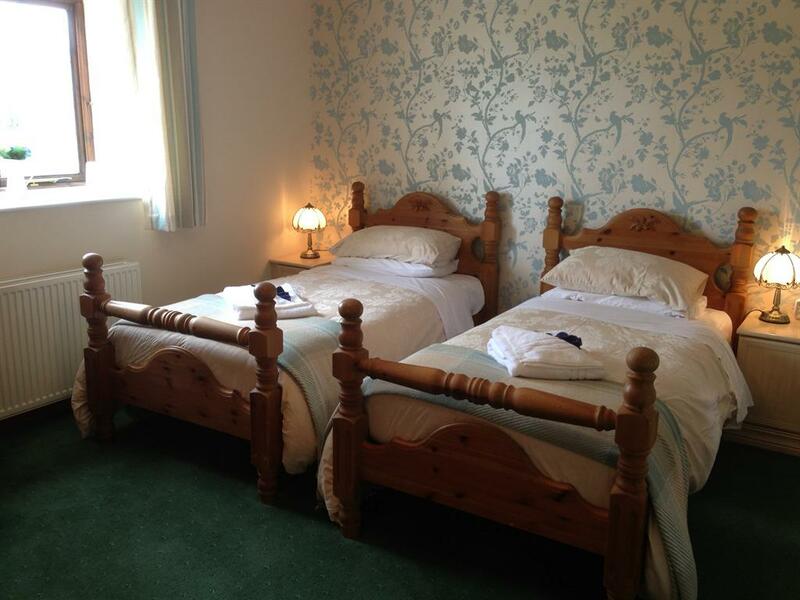 There are two comfortable single beds with nice deep mattresses. An all seasons duvet choice will keep you just right - not too hot, not too cold. 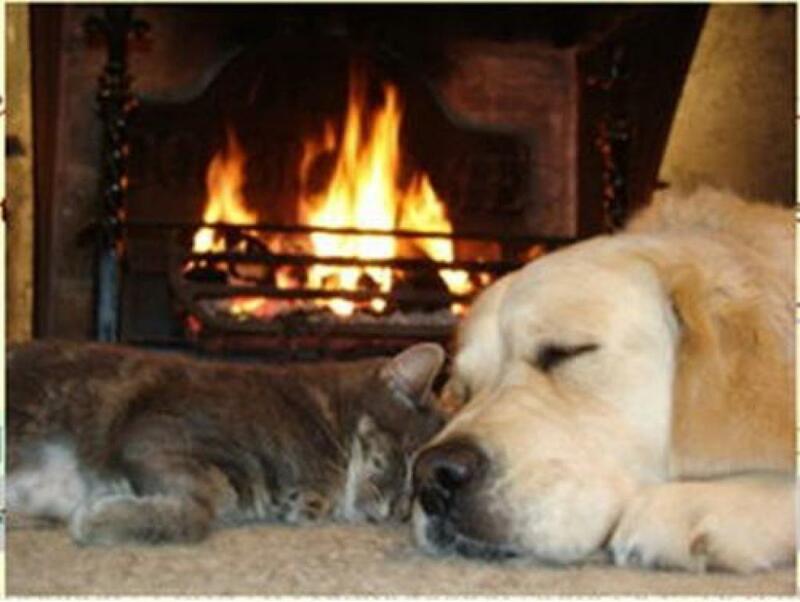 Central heating will keep you nice and warm but if you really do feel the cold there are plenty of spare blankets and throws available if you really want to snuggle up. 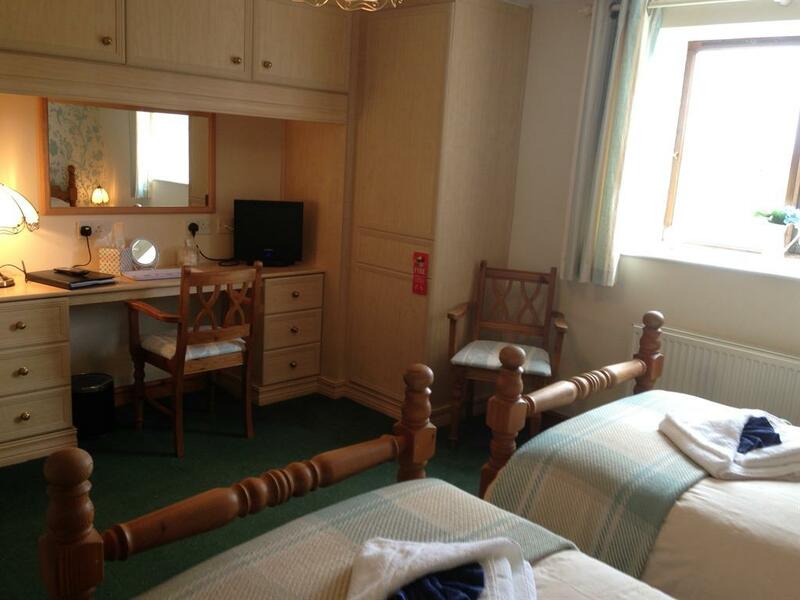 You have your own free view flat screen TV with built in DVD player. Low level touch lighting by each bed. 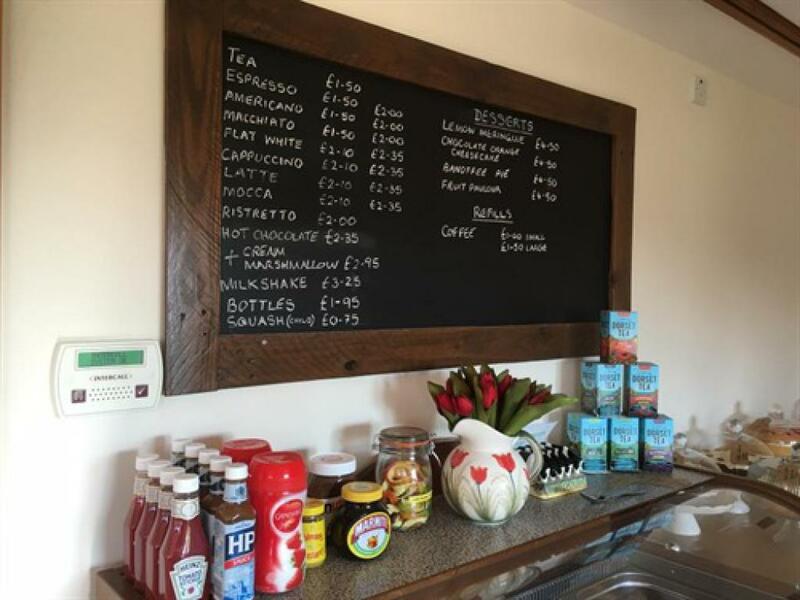 If you fancy a cuppa there is a complementary beverage tray with various teas, coffees hot chocolate and biscuits available for you. 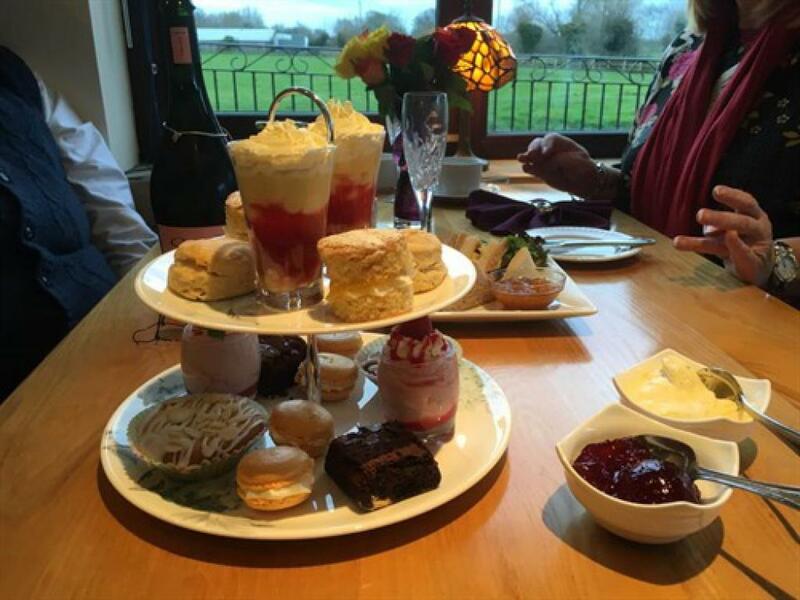 If you want something a little more decadent our very own Tea Rooms is just a few steps away where you can enjoy barista made coffees, tea and homemade cakes, lunches or afternoon teas. 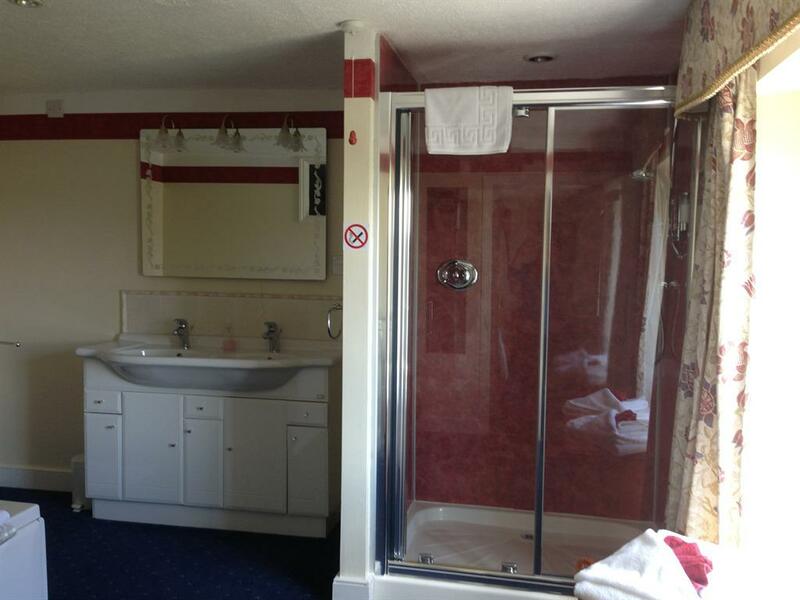 The en-suite is equipped with a walk in shower, two wash basins (one at a lower height) and WC. Just to make you feel that little bit special we have complementary toiletries for you to use, should you so desire. 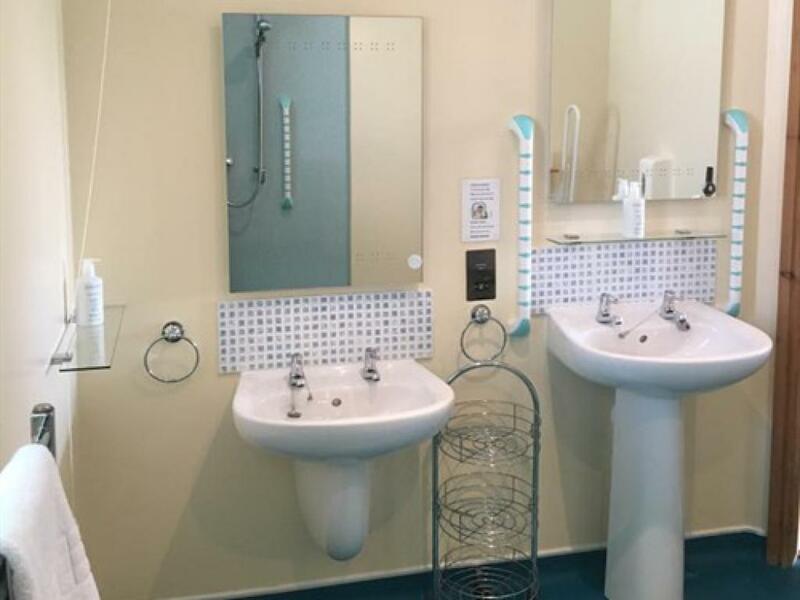 We have chosen the Eco Boutique range, providing shampoo and conditioner in the shower dispensers and individual body lotion and shower gel bottles for your convenience. Also included are shower hats, shoe shines and a mending kit should you have a last minute wardrobe malfunction! 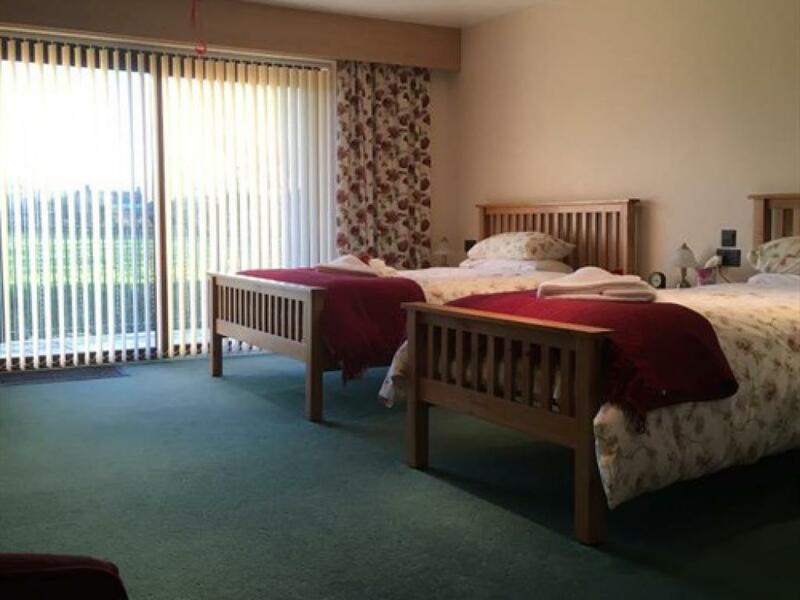 This bedroom is wheelchair accessible and the large en-suite has plenty of turning space to make life that little bit easier. Views are beautiful and are across open countryside towards the Mendip Hills, home of Wookey Hole Caves and Cheddar Gorge. Swallow Barn is a lovely barn conversion designed primarily for those wishing to holiday at their own speed. 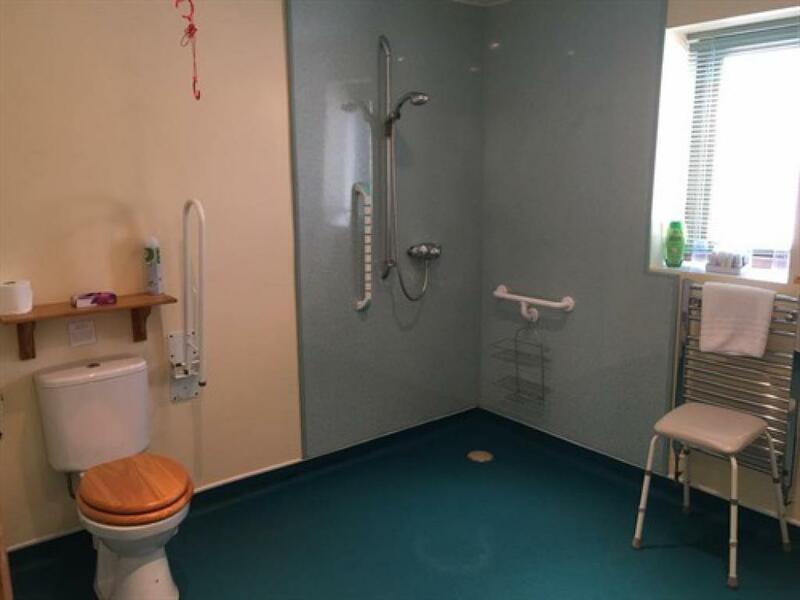 The ground floor area can be adapted to suit most needs that a disabled person may require without becoming clinical and losing it's homely charm. 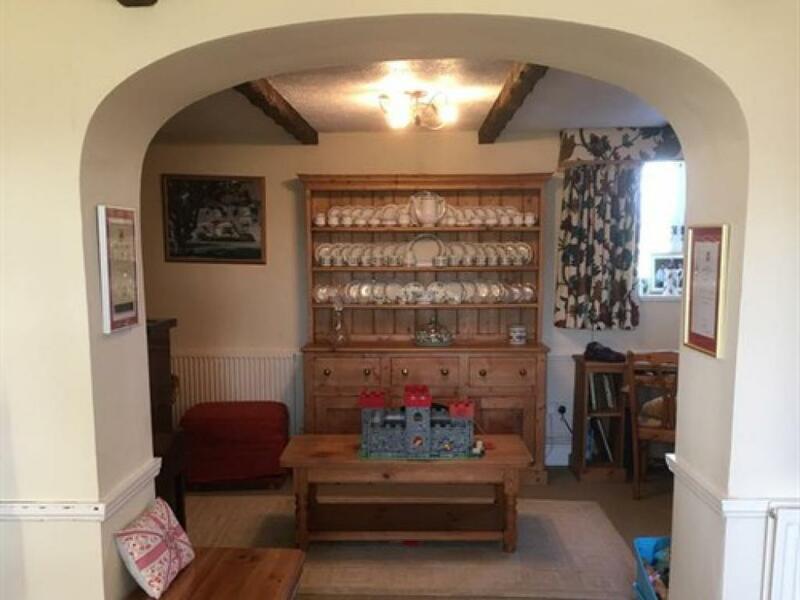 The sitting room has comfortable seating for 6 people, the single armchair is on a slightly raised platform to help anyone who has trouble getting up and out of a nice comfy chair! 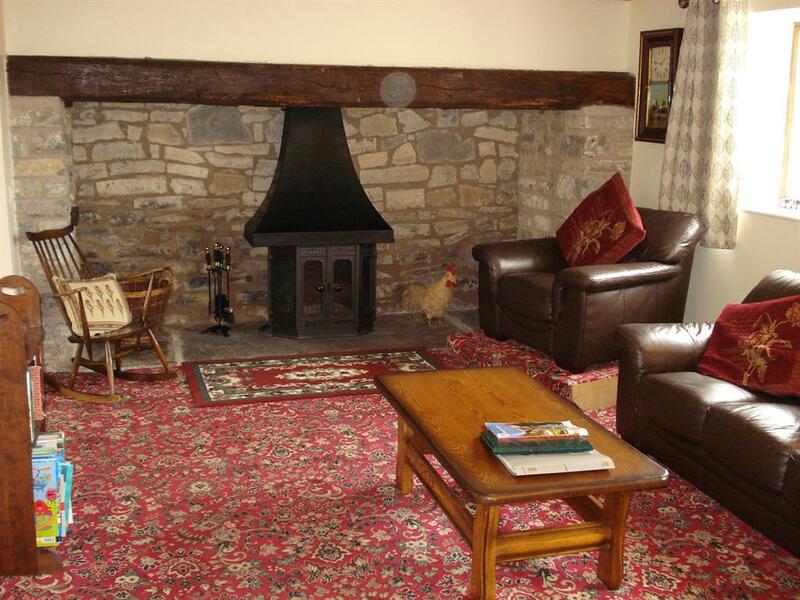 There is an inglenook fireplace with a log burner (first basket of logs free, then £5/basket), the overhead beam came from an old ship. Flat screen TV/DVD. 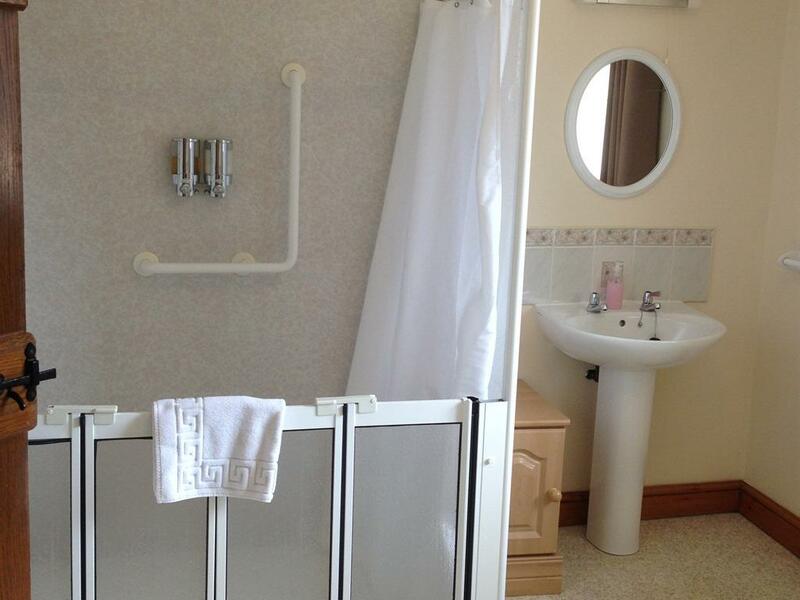 Adjacent is the ground floor twin en-suite with a large en-suite with roll in shower, two wash basins at different heights and WC. 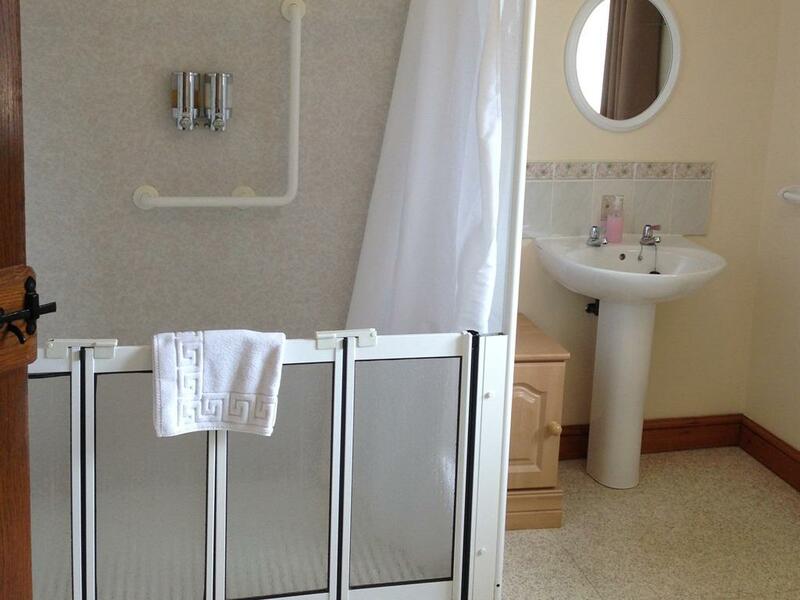 Shower seating, static and mobile can be provided. (None of our extra's are chargable). 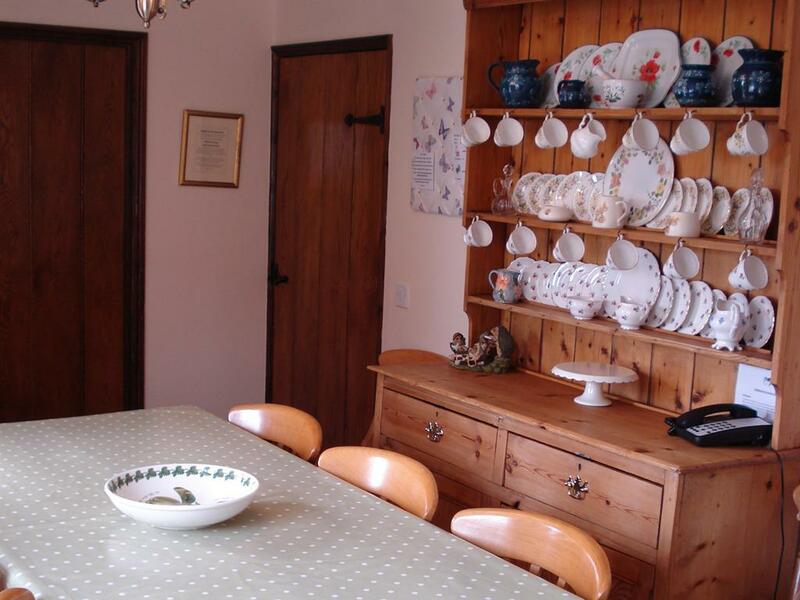 The dining room has a wheel under table and 6 chairs and is fully equipped for 8 people. 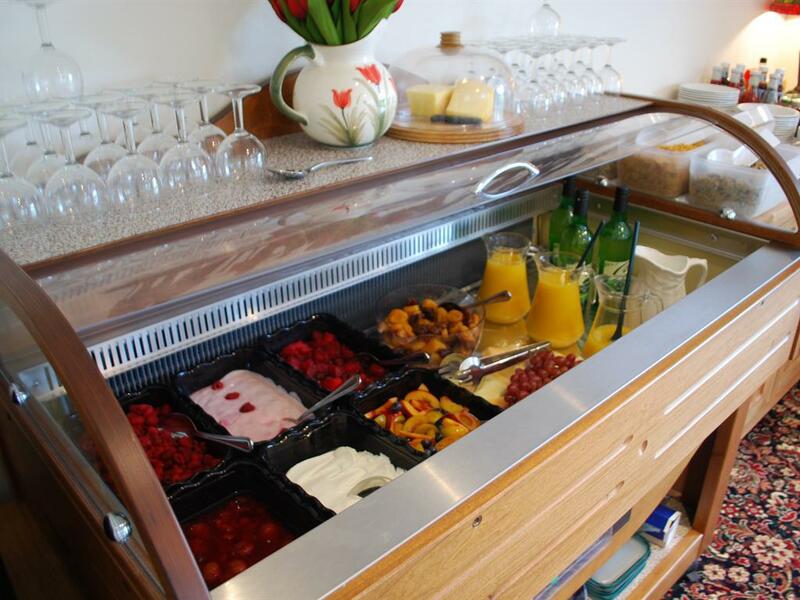 Here you will find a complimentary beverage tray and homemade cake on arrival. 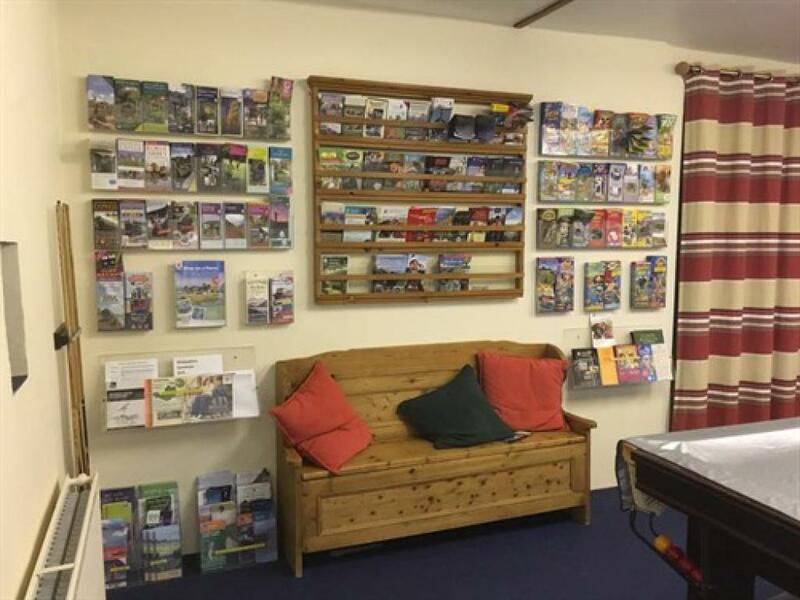 We like to make you feel at home straight away! Groceries can be delivered on day of arrival. Have a treat and book breakfast (can be purchased on a daily basis). 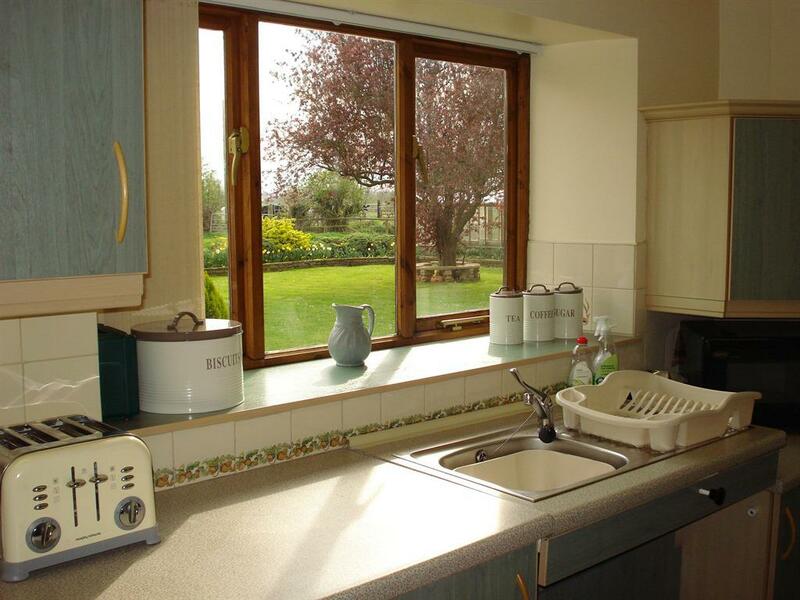 Swallow Barn's kitchen is multi-functional. Two heights of work top & an adjustable height sink. 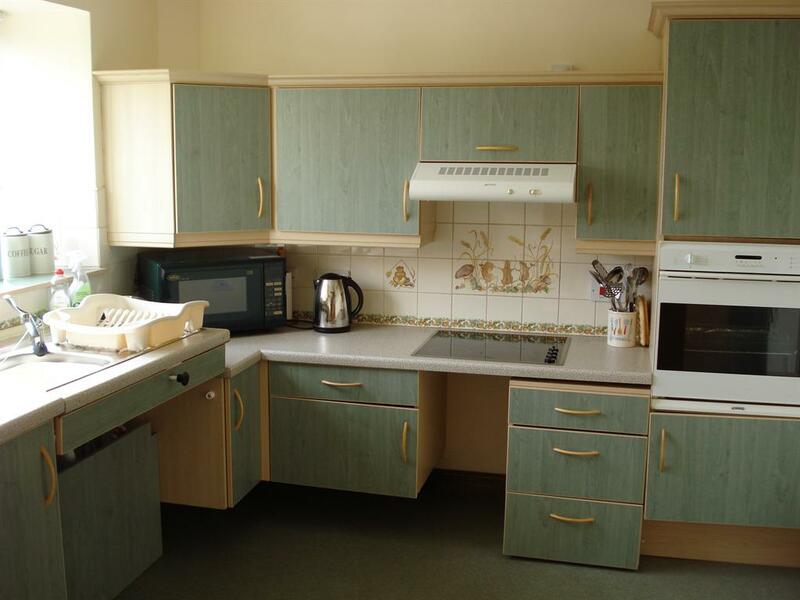 Cooker, hob, dishwasher, fridge/freezer and washer/dryer. Complimentary bottle of orange juice, local apple juice and milk provided to get you started. 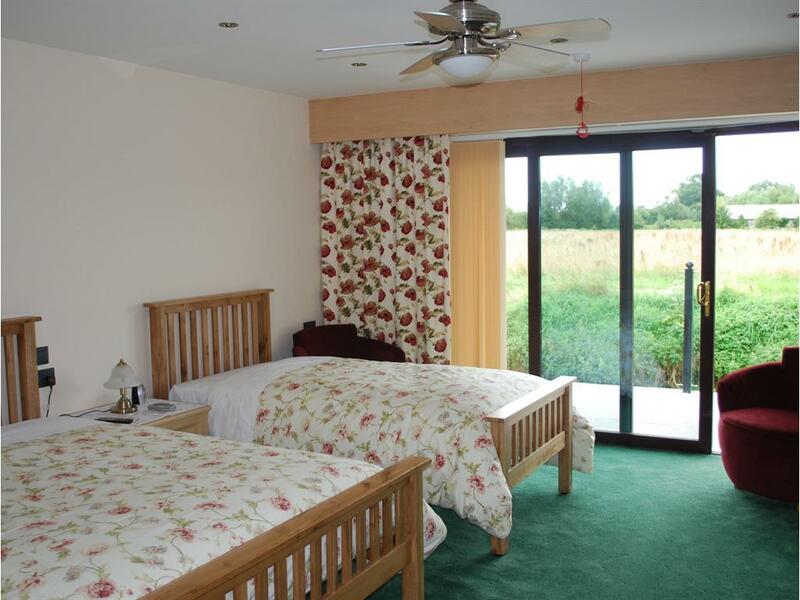 Two double en-suite bedrooms upstairs have lovely views across to the Mendip Hills. 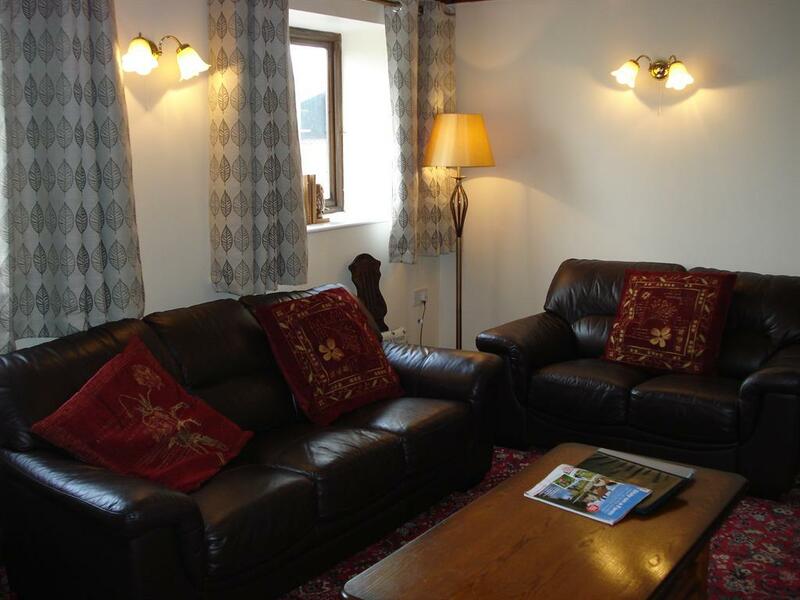 All are equipped with touch lighting and flat screen TV/DVD's. Towels and flannels are provided and changed mid stay on weekly bookings. 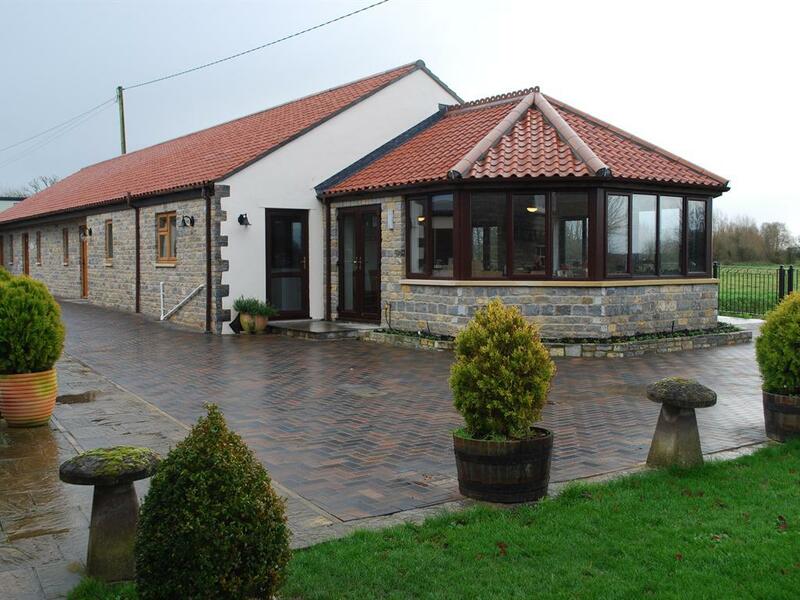 Outside Swallow Barn you have a patio area with table and chairs and a set down area, and two parking spaces in our car park. 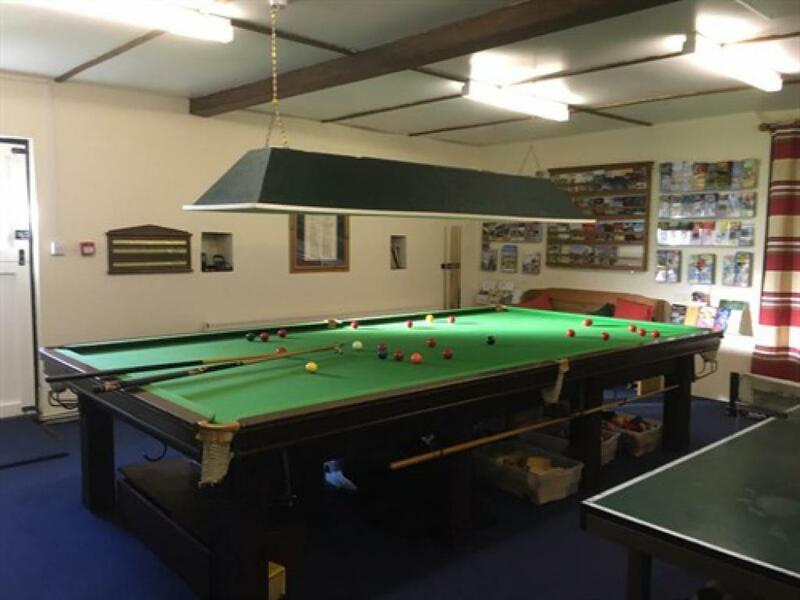 The main garden and Games Room are available to all guests. 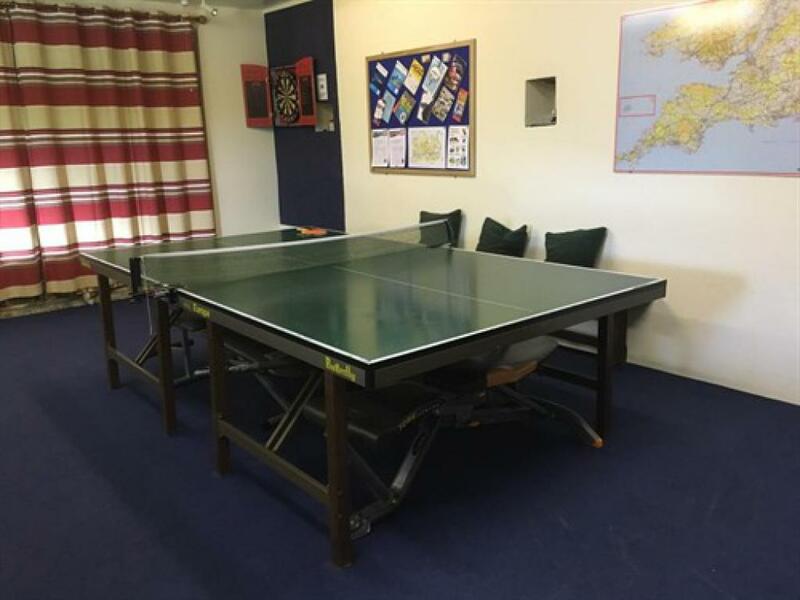 Ball games can be played in the adjacent fields or at the village playing field where there are also swings etc which is only a 5 minute walk away. 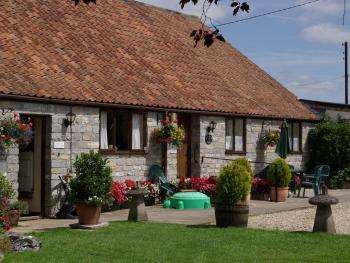 Call direct for weekly discount rates. Our Riverside rooms are something a bit special. 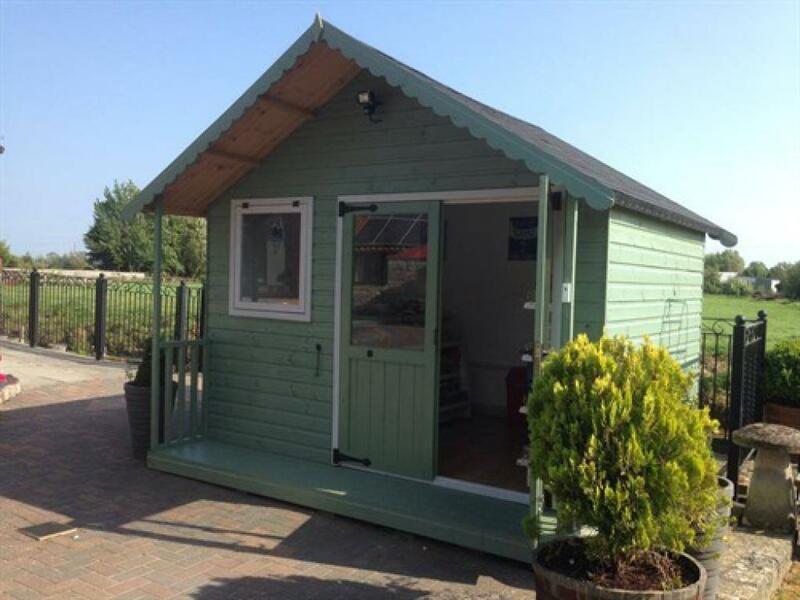 We have three Riverside rooms that are this size and another even larger one. These ones each have one double bed and one single bed and so, are quite adaptable. They have patio doors opening out onto a riverside patio with table and chairs. 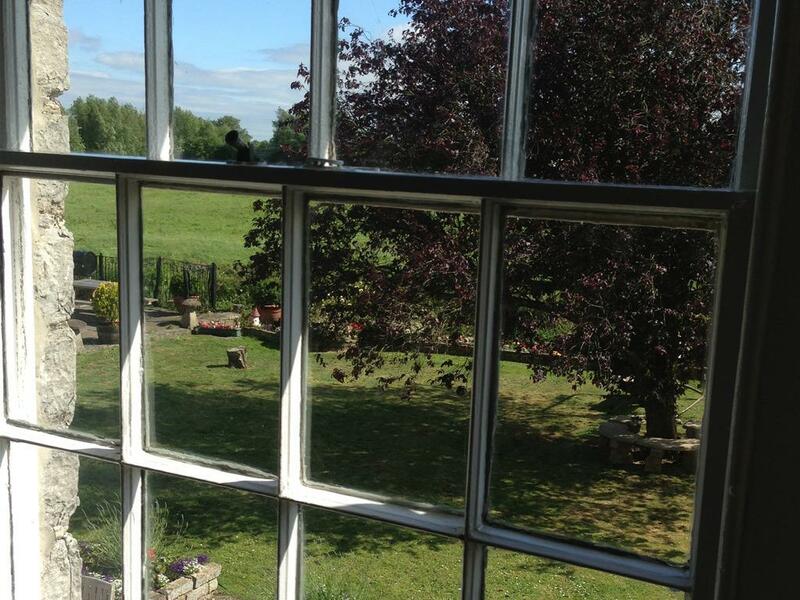 Your view is out over the river and meadow. Relax and feed the fish or watch the wildlife - we have two otters that swim past (you need to be eagle eyed for them!) and have woodpeckers and kingfishers too. This side of the building allows complete level access into the dining room. These airy and spacious bedrooms have mood lighting, ceiling fans, low level touch lighting and contrasting sockets and light switches. Flat screen TV/DVD, silent running fridge and moveable beds on gliders. 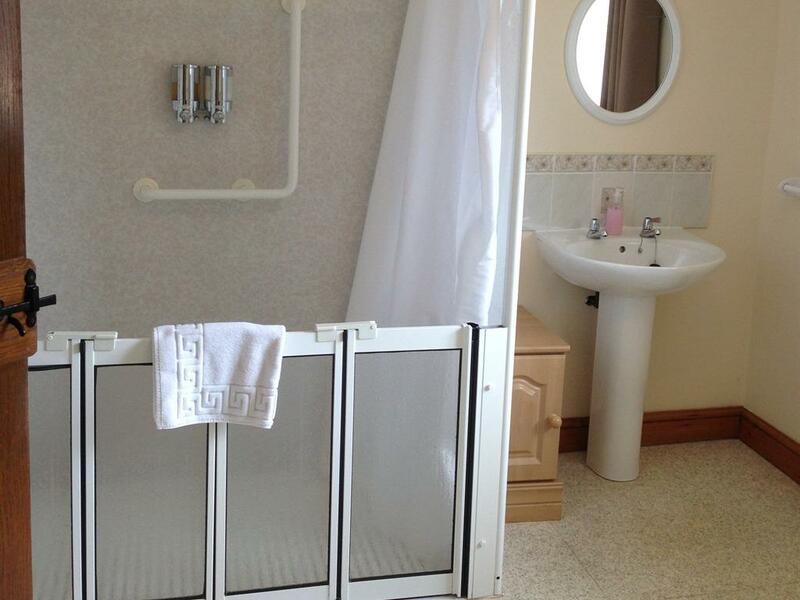 Designed by the owners from several years of experience all are unique in their adaptability for anyone requiring a bit more space such as wheelchair users and families without appearing clinical. They are light and airy, rooms suitable for all tastes. Unusually, these Riverside rooms have large shower wet rooms with power shower, standard wash basin and roll under, low level wash basin. WC. Loads of turning space if required. 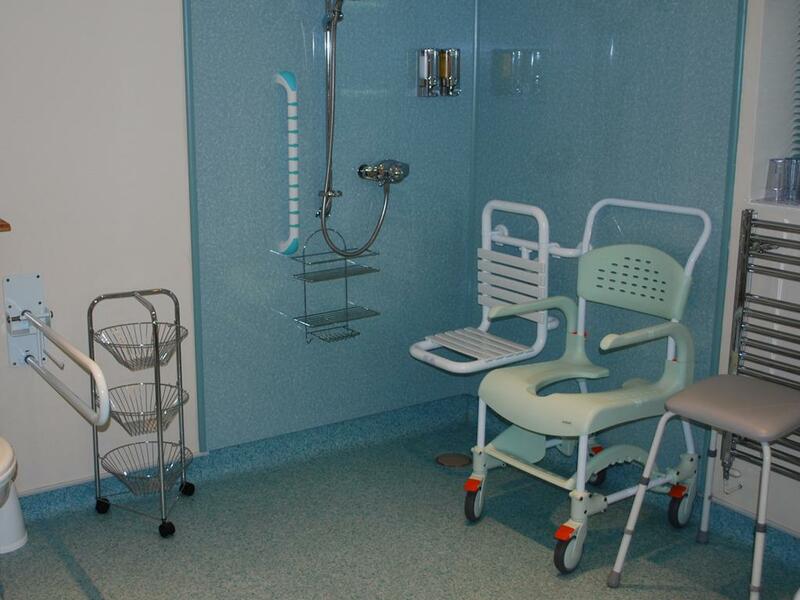 If you are a wheelchair user, we have a choice of roll in shower chair or static wall hanging shower chair that we can pop in there for your use. 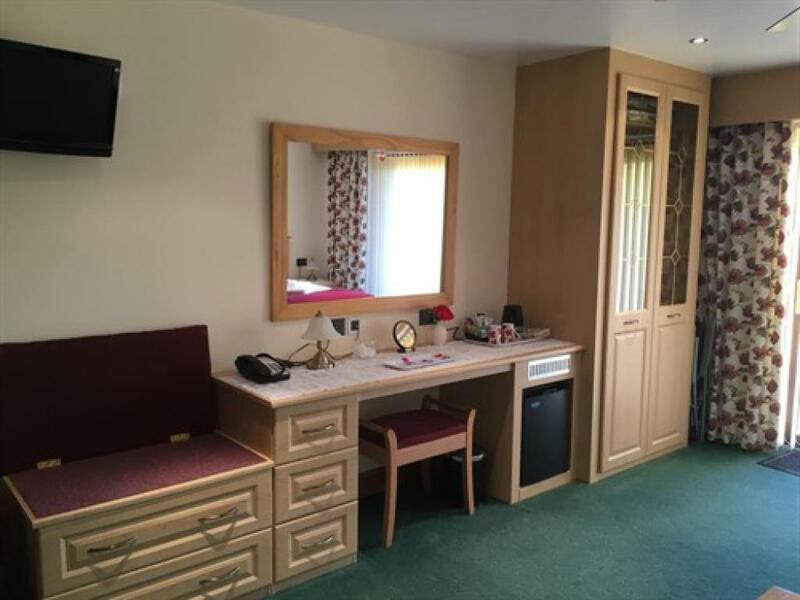 No charge.Sensory mirrors add to the high quality of these rooms - just swish your hand by the side of the mirror and bingo - all becomes clear! 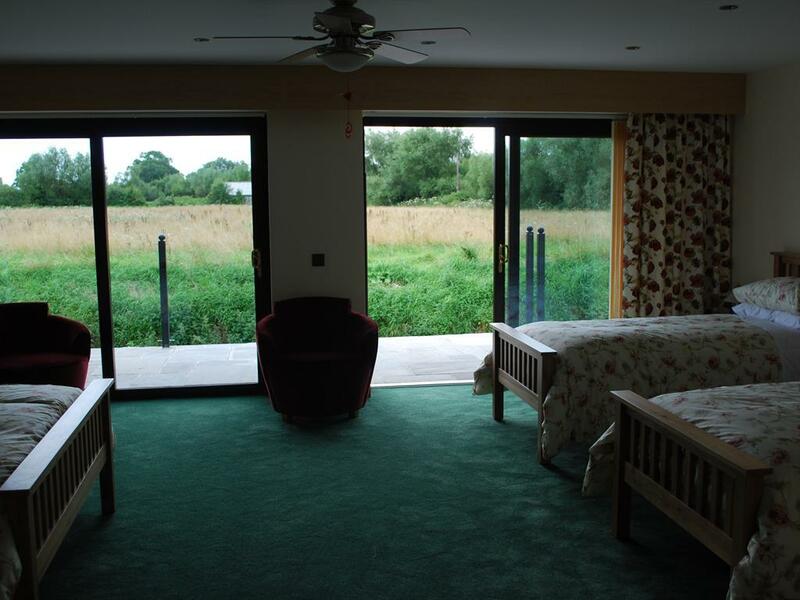 In a Riverside room you have your own front door so if you are having a fabulous evening out and arrive back a little late you will not disturb anyone else when you come in. 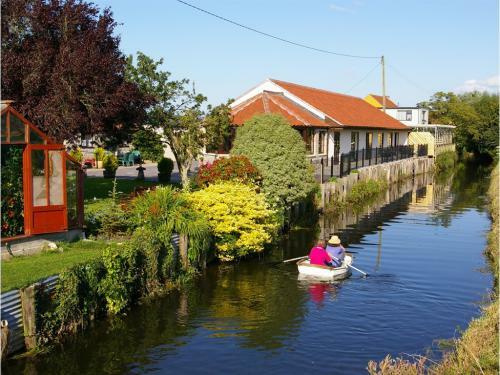 All of our Riverside Rooms are side by side, so If you are a large group of friends or family they are ideal as a group base as you can congregate by the riverside together and not be disturbed. 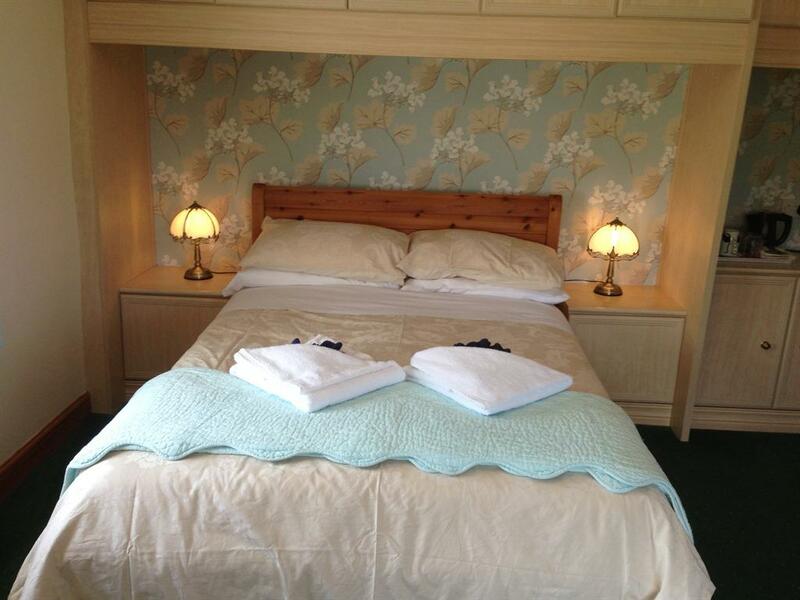 Our Riverside rooms are something a bit special. This particular Riverside is our largest one. 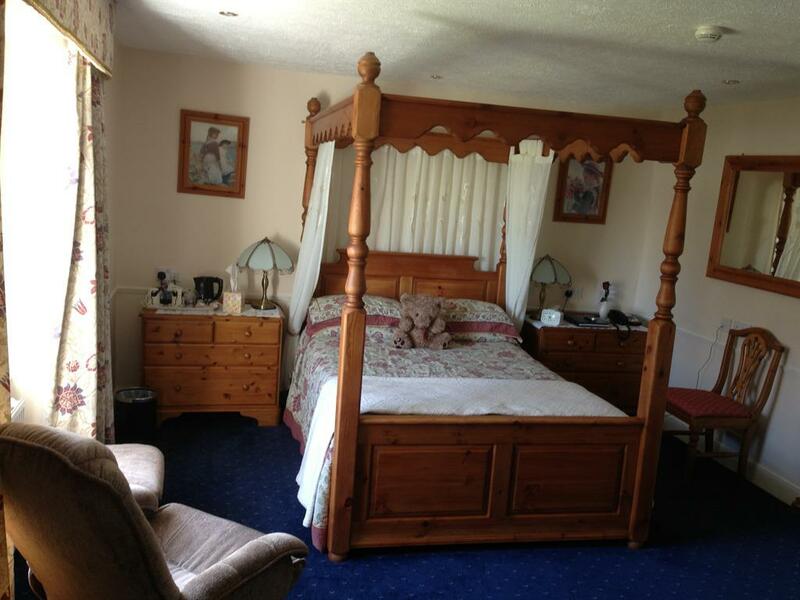 It has one double bed and two single beds and still stacks of space. It has two sets of patio doors opening out onto a riverside patio with table and chairs. 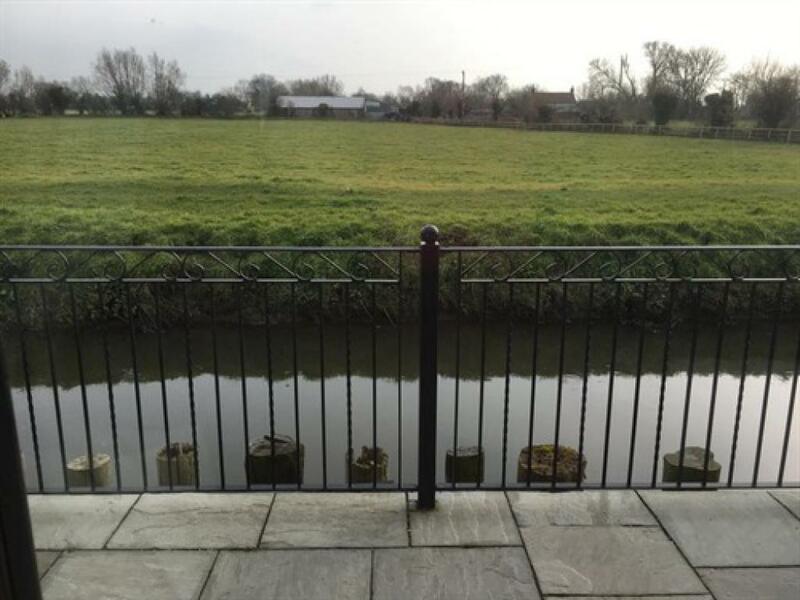 Your view is out over the river and meadow. Relax and feed the fish or watch the wildlife - we have two otters that swim past (you need to be eagle eyed for them!) 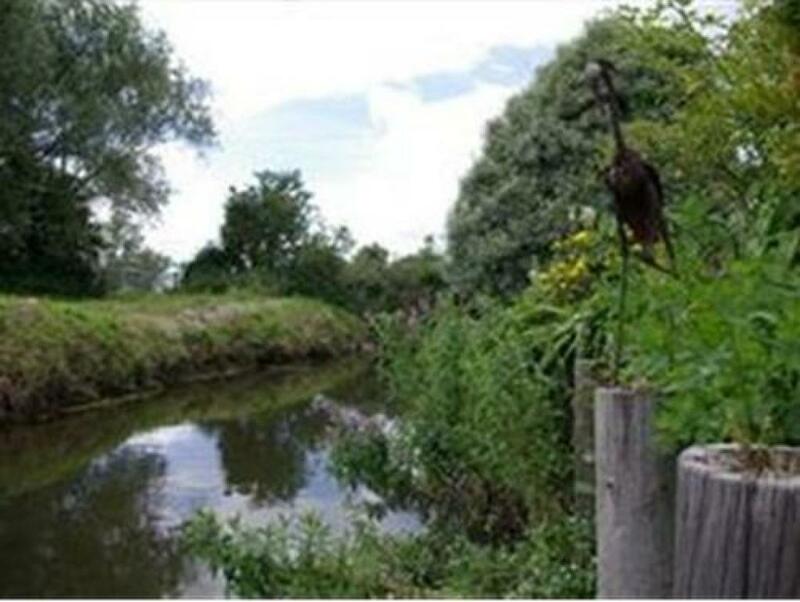 and have woodpeckers and kingfishers too. This side of the building allows complete level access into the dining room. These airy and spacious bedrooms have mood lighting, ceiling fans, low level touch lighting and contrasting sockets and light switches. Flat screen TV/DVD, silent running fridge and moveable beds on gliders. 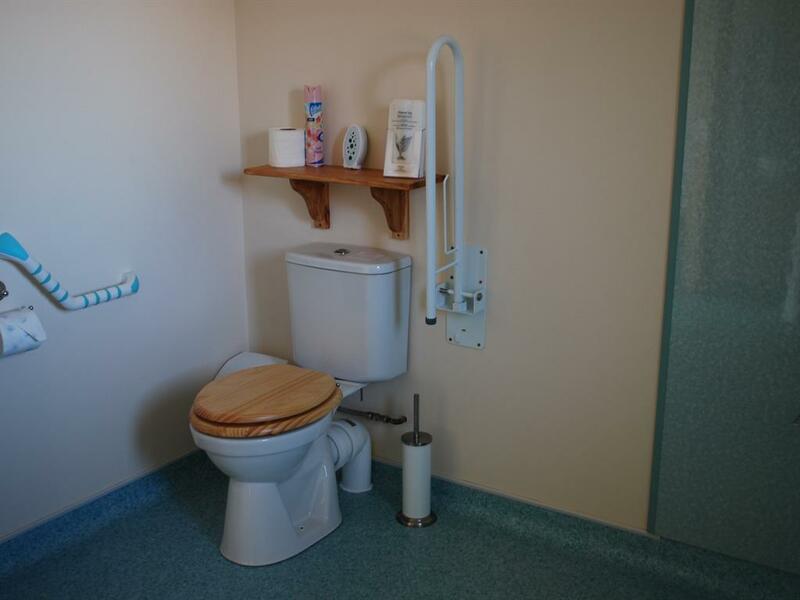 Designed by the owners from several years of experience all are unique in their adaptability for anyone requiring a bit more space such as wheelchair users and families without appearing clinical. 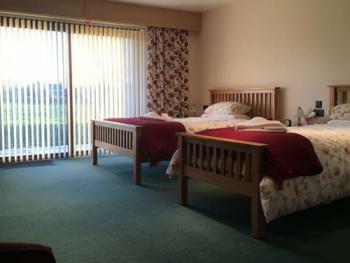 They are light and airy, rooms suitable for all tastes. Unusually, these Riverside rooms have large shower wet rooms with power shower, standard wash basin and roll under, low level wash basin. WC. Loads of turning space if required. 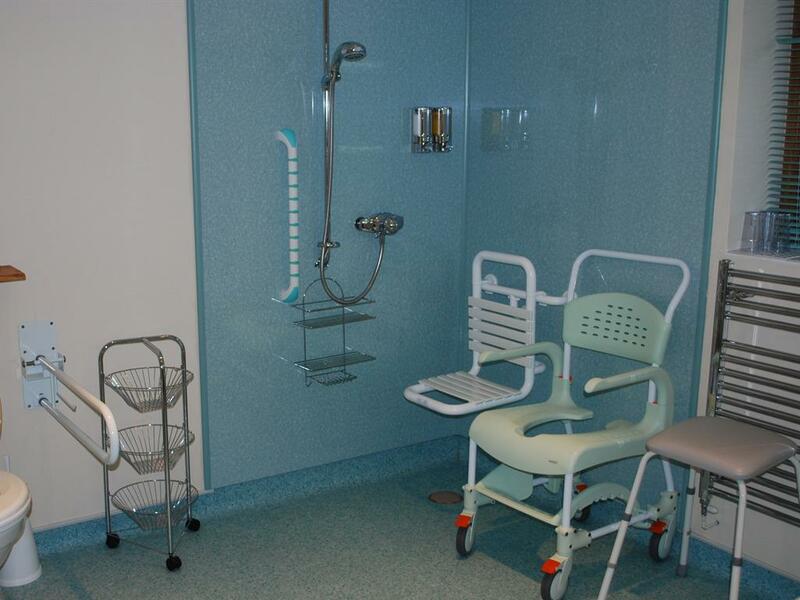 If you are a wheelchair user, we have a choice of roll in shower chair or static wall hanging shower chair that we can pop in there for your use. 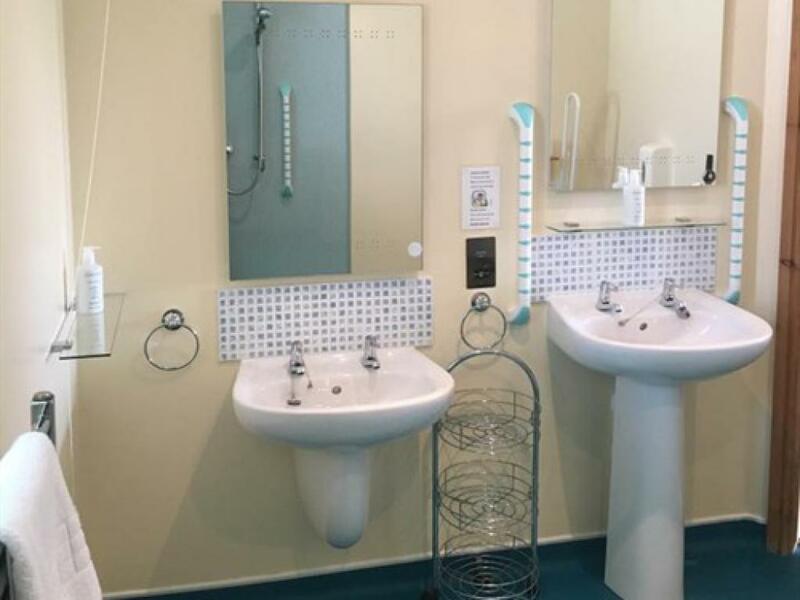 No charge.Sensory mirrors add to the high quality of these rooms - just swish your hand by the side of the mirror and bingo - all becomes clear! 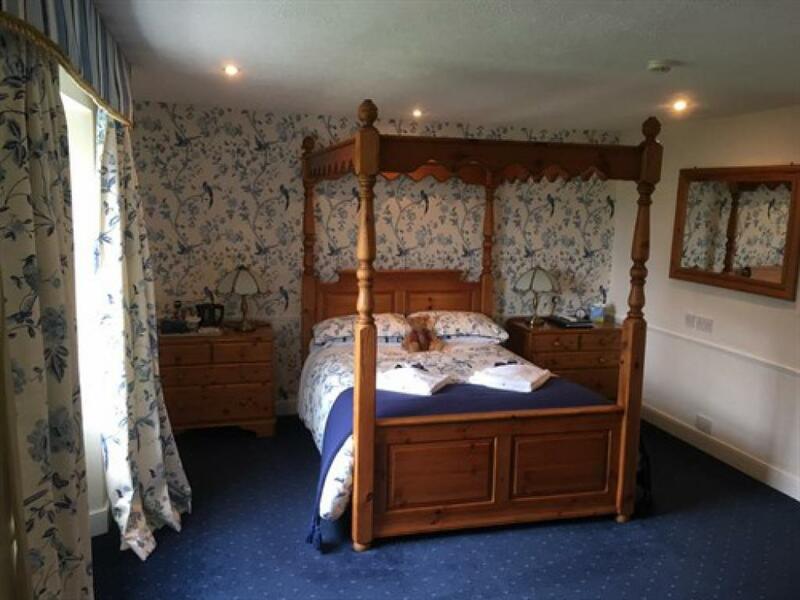 In a Riverside room you have your own front door so if you are having a fabulous evening out and arrive back a little late you will not disturb anyone else when you come in. 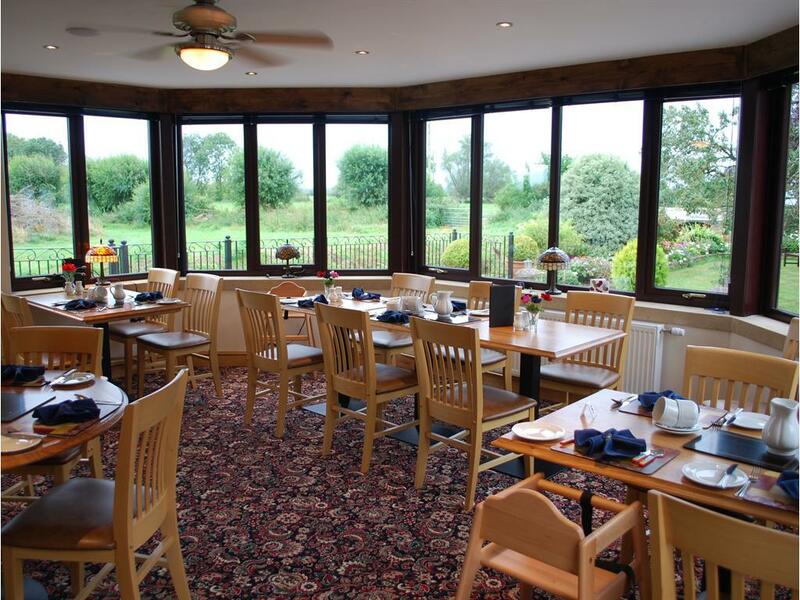 We have only one of these extra large Riverside rooms and it is next to the other Riversides, so if you are a large group of friends or family they are ideal as a group base as you can congregate by the riverside together and not be disturbed. 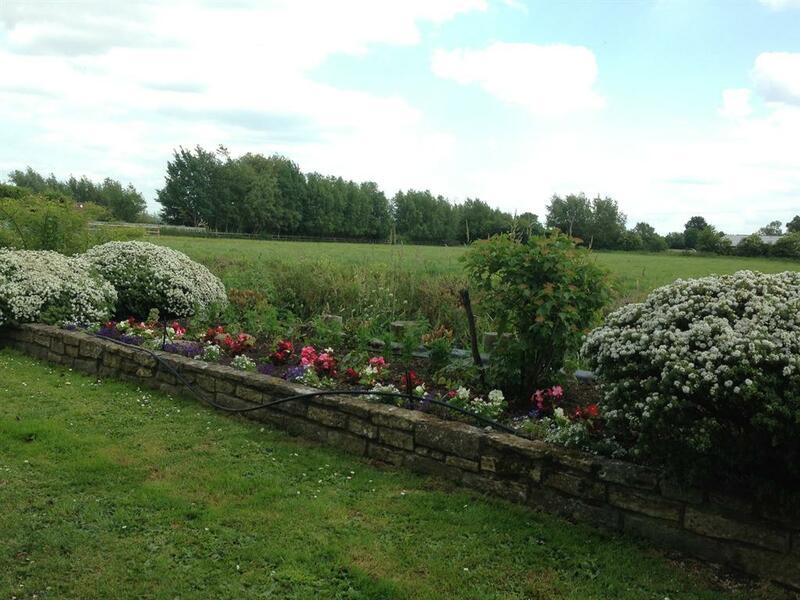 Please go to our website www.doublegatefarm.com or click on this link: https://www.accessibilityguides.org/content/double-gate-farm where you will find our latest Accessibility Statement. 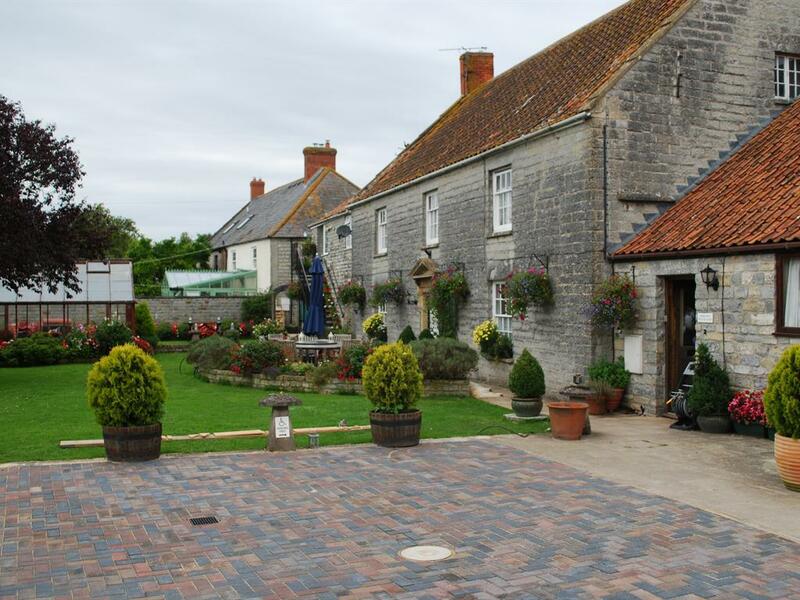 We are one of the few properties in the area with fully accessible rooms (Riverside Suites) and self catering (Swallow Barn). 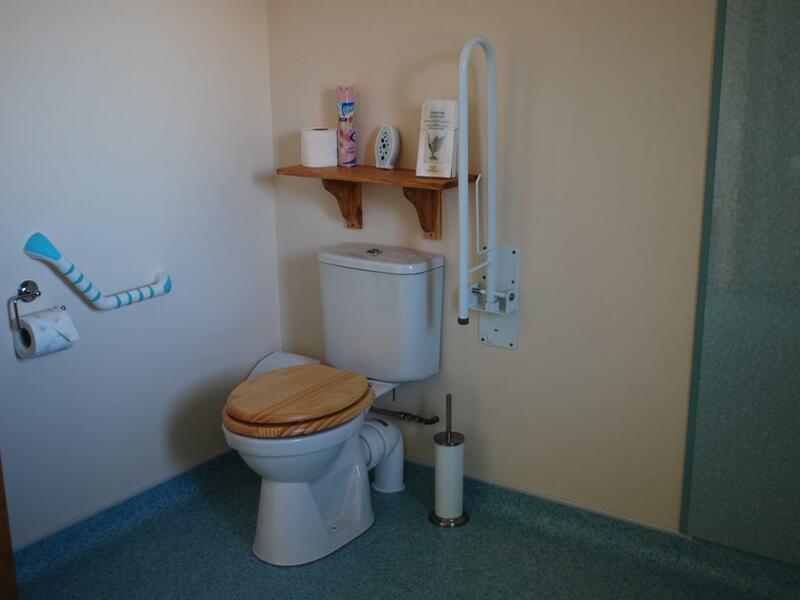 Everything en--suite and 4 rooms able to accommodate wheel chair users with ease. WINNER OF THE ENGLAND FOR EXCELLENCE AWARDS SOUTH WEST ACCESS FOR ALL 2009/10. Car hire recommended. Turn right out of the station and drive to Shepton-Mallet. Take A371 to Wells. Follow directions from Wells.